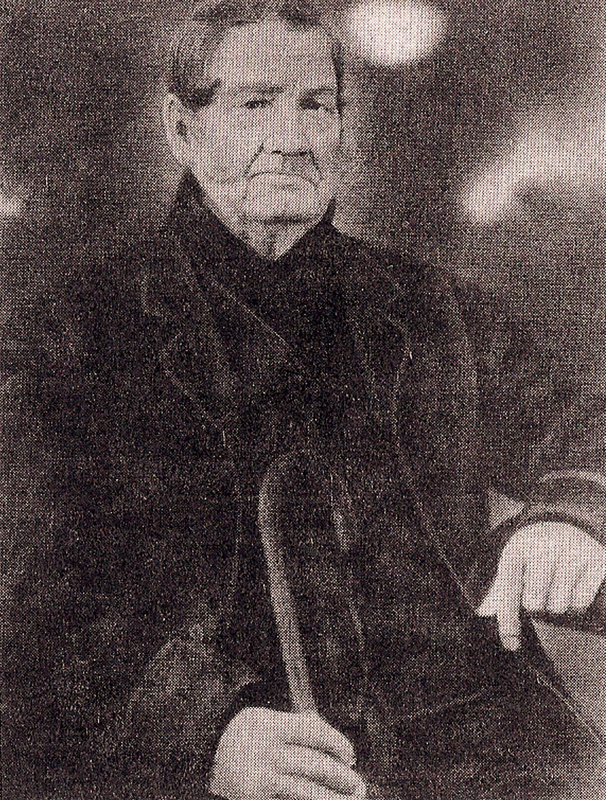 Alva Stephens was an early United Empire Loyalist who came to the area from Jefferson County in New York State sometime between 1812 and 1815 during the War of Defense. He was a hatter by trade establishing three successful businesses at Stone Mills, now called Glenora. His first venture was as a haberdasher where he made and sold hats, after which he erected a hotel in the same location and finally became the owner and operator for the ferry between Glenora and Adolphustown, as well as the hotel and tavern. While at Glenora, at around 1814 he started writing this ledger, which is on display. The ledger reveals important information on tavern life, the ferry operation, and Stephen’s many other trades, including his hat making. According to the ledger dated 1817 but with entries from 1816, this almost 200 year old book is a priceless piece of local history. Alva Stephens finally settled in Cherry Valley when he purchased a homestead in 1822, which stands just outside the hamlet of Cherry Valley on the right side of Cty. Rd. 18 on the way to Sandbanks, currently the home of Athol Committee members, Susan & Glen Wallis. Mr. Stephens is reputed to have given Cherry Valley its name based on the abundance of cherry trees in the area at the time and it is reported that there was a large cherry orchard located on his property on the banks of East Lake. The Stephens ledger, which will be 200 years old in 2014, provides a fascinating window into the social life of a long ago era here in the County. Sadly, the ledger is in poor condition and its contents are becoming hidden from us because handling the book will add to its deterioration. The Athol Recreation Committee is looking into having the ledger restored so that it can be seen by future generations. First, it is hoped that the pages can be digitized and thus make the contents available for anyone to read. Second, it is important to restore the book itself, so that it can enter its third century without facing the danger it is now in from more degradation. This is an important and historical artifact, and the project may be expensive and take a long time. We urge you to make a donation towards saving this wonderful part of our local history. 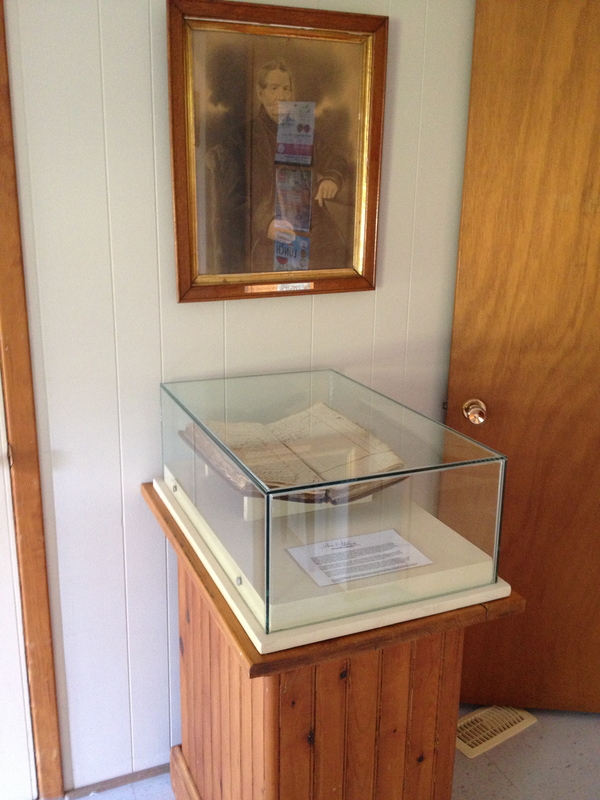 Special thank you to the Cherry Valley Women’s Institute for donating the safekeeping of the ledger to the Athol Recreation Centre and to Cherry Valley residents Barbara Wyatt for spearheading the preservation of the ledger and to Glen Wallis for building the display case.